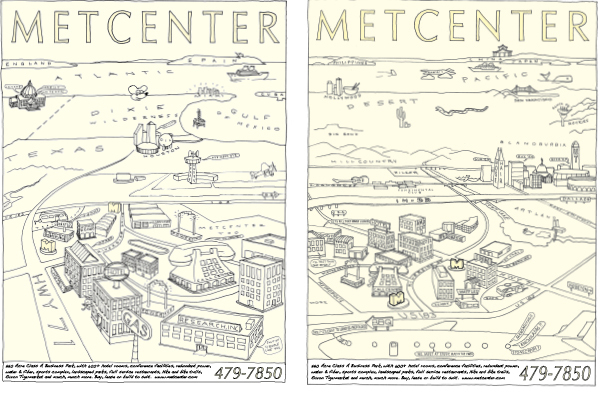 Two in a series of four full page ads for MetCenter parodying the famous 9th Ave. New Yorker cover by Saul Steinberg. Used to build awareness and draw potential tenants to their project. First looking east and second looking west.